On voter Slips Download page people need to select the Circle tab and Ward number and ward Name then people have to provide the Door Number or Name or Voter Id Number. People can fill any one of the three. 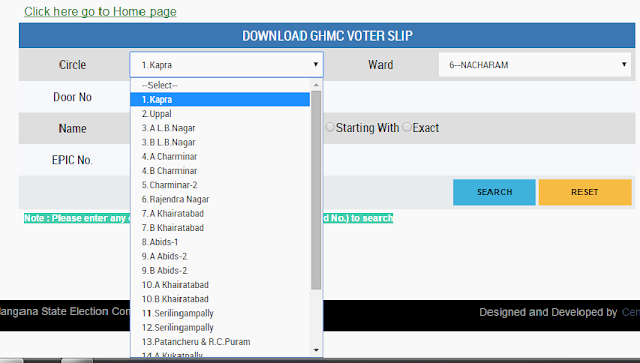 In the first TAB people have to select the Circle out of 18 Mentioned Circles, people have to select the appropriate circle to download the voter slip they divided in 20 or 21 circles each circle contains 6 or 7 wards.